The area will focus on investigating abiotic and biotic systems, processes and phenomena of the marine environment. 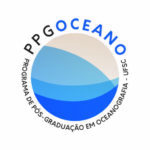 Special attention will be given to the study of the characteristic physical, chemical and geological processes of coastlines, especially of the coast of Santa Catarina, investigating oceanographic processes in medium and large scale in the South Atlantic Ocean and researches related to determining the structure, function and dynamics of populations, communities and coastal and oceanic ecosystems. Researches related to the use, management and conservation of marine systems complement the scope of the focus. 3) scientific, social and applied aspects related to the use and occupation of the coastal zone, aiming at the critical analysis and at designing actions of environmental planning and management. 3) the scientific, social and applied aspects related to the use of oceans, considering the legal framework and the existing national and international policies.